Rooting is the greatest power which Android users can use if they understand at least the basic of how operating system works. Rooting provides privileges to gain system access and this is how users can customize their device further. Rooting also brings lots of features which are not possible to have otherwise. 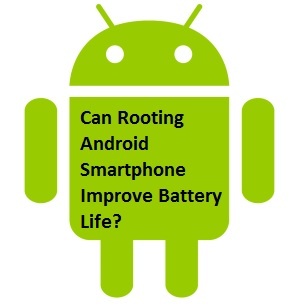 One of the most asked question by the Android users is that, can rooting Android smartphone help you improve battery life? Well, there is no straight answer to this question as no one can guarantee you that battery life will definitely increase. I got a help guide for you here so that you get answers to your doubts. As I mentioned earlier that there is no guarantee that your battery life will be improved after rooting. There are cases where battery life becomes worse after rooting so nothing can be said regarding this. Related tutorial – If you don’t want to root your device and looking for some best battery saver app then BatteryGuru can work best for you. But the app will work only if your device is powered by Qualcomm’s Snapdragon chipset. You can read Snapdragon BatteryGuru app’s review here. If you’re not sure of the processor of your device then you can check my guide on best battery saving app for Android. But there are some ways using which battery life can be increased. I’m sharing here the methods I’m aware of to improve battery life after rooting. Note – most of these methods requires some apps to be installed but those apps will work only on rooted devices. First Method – Research well! Before rooting your smartphone, research well. There are lots of forums available on the internet where users share their experiences with a particular rooting package. You can read them to know which rooting package can improve battery life. This is how you can improve battery life after rooting. Second Method – Via root apps! 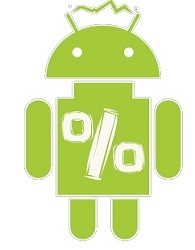 Android apps which work only on rooted devices are referred as root apps. There are lots of apps available which you can use and they will improve battery life of your smartphone. I’m mentioning best of such apps and also the way how they will improve battery life. Due to over usage, battery of Android devices needs to be recalibrate and this is the best app available on the Google play store providing this feature. After you install the app then plug in the charger and charge your device 100%. When device is charged completely then start by process and once your battery is calibrated completely then use your device until all the battery gets over i.e. use it till 0% battery left. Now again plug in charger and this is how battery gets calibrated. If there was some issue due to battery of your device then the battery life will definitely improve. You can control the clock speed of CPU & GPU and set them according to your usage. You can lower the CPU & GPU speed which will improve the battery life and you can increase it at times of excessive usage. Lowering and increasing CPU clock speed is referred to underclocking and overclocking. There are two apps available in the Google play store which works best for this, SetCPU and AnTuTu CPU Master. SetCPU is available with a price tag while System Tuner is available in both free and paid versions. There are few other apps like JuiceDefender which you can try. This app will improve the battery life by managing it in a better way.